Distributed on five floors you will find 6 permanent exhibitions, 2 temporary exhibitions and 4 different service facilities. They all offer impressions and information about an East German region, that was inhabited by German-speaking people for seven hundred years. Succeeding an older museum which had concentrated on hunting objects, a new museum was founded in a newly constructed building in 1987. 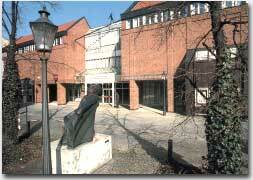 The museum is supported by the Foundation "East Prussian Culture" and mainly funded by the Federal Republic of Germany and the State of Lower Saxony with the aim of preserving the heritage of the German culture of the East.